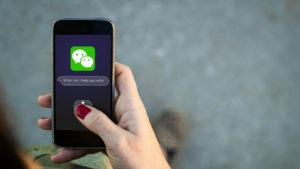 Chinese social media and gaming behemoth Tencent Holdings is set to introduce a voice-activated assistant for WeChat, offering greater convenience to users of the messaging service in tasks such as playing music, ordering food and hailing a ride. While Tencent has been selling smart speakers, this will mark the first time the company plans to integrate a voice assistant into its super-app WeChat, the dominating social media network in China. The internet giant did not provide an exact launch date or timeline for Xiaowei.